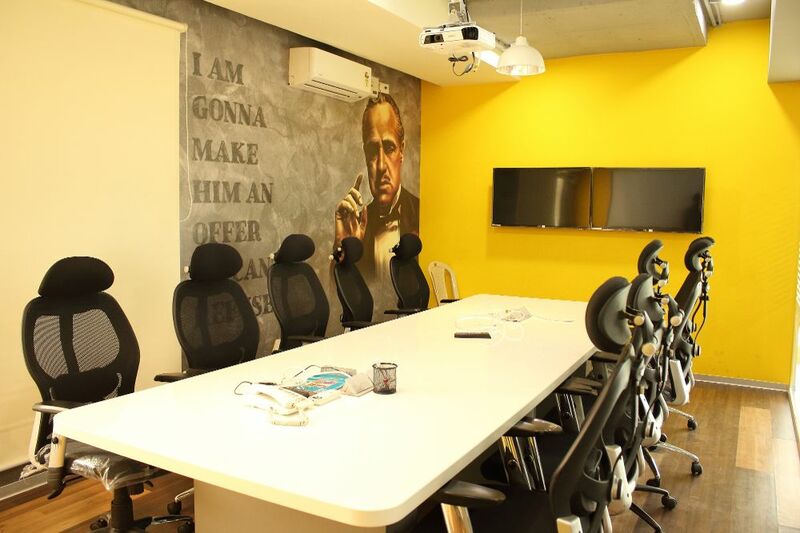 Many companies try to get their offices to become a reflection of the product that they develop — Flipkart’s office, for instance, has a giant book suspended to the ceiling to show how it had started off as an online bookstore, and Cadbury’s office has a giant wall of chocolate. 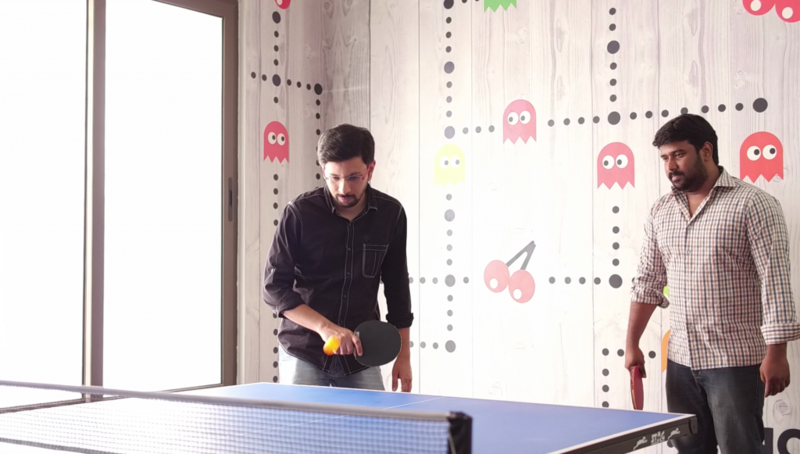 But one company that takes its office theme really seriously is PlaySimple Games, a games development startup based in Bangalore. PlaySimple makes mobile games — it has hits like WorkTrek and WordJam to its credit — and its office seems to be an ode to gaming as a whole. 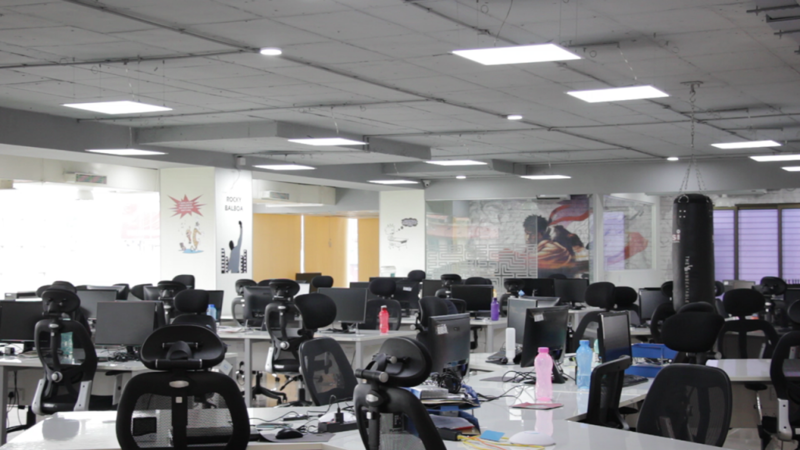 PlaySimple’s Domlur office is spread across 7269 square feet, and houses its 70-plus employees. But game references jump out at your from unexpected places in the office. 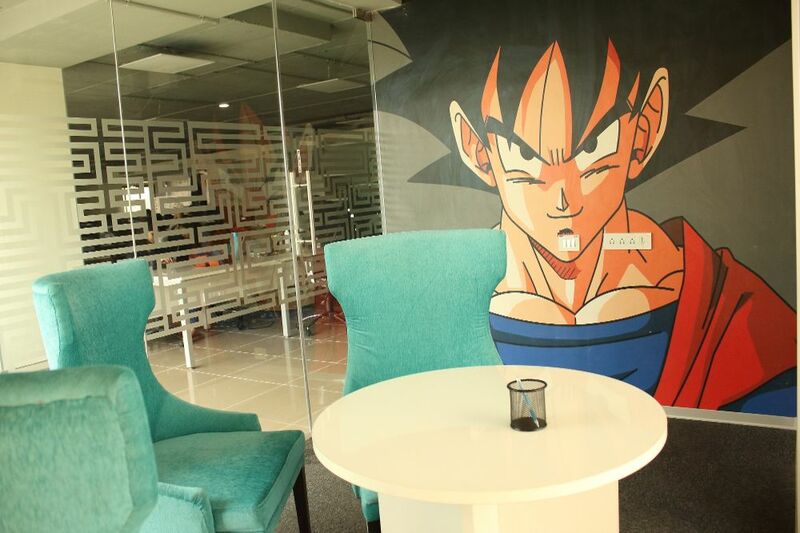 Goku stares solemnly into this meeting room. 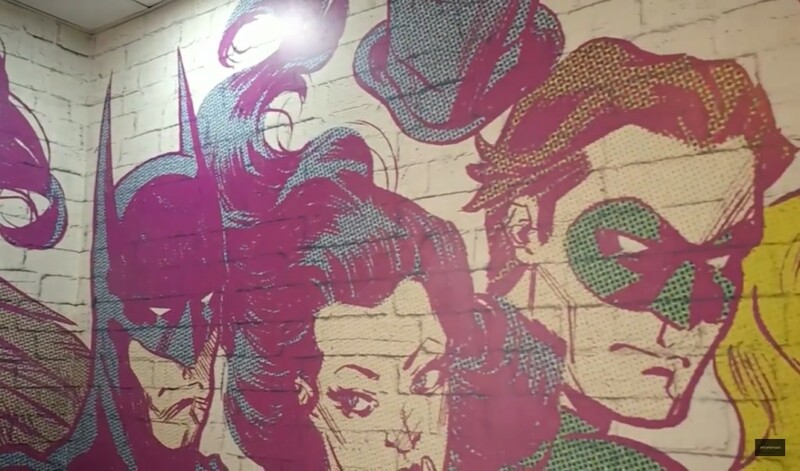 And superheroes congregate on this wall. 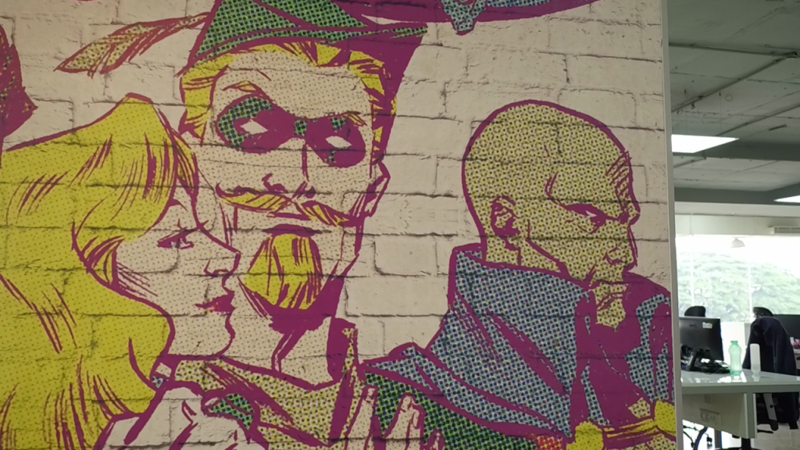 While villains congregate on this one. They even have a Godfather-themed conference room. And lots of gaming artwork. 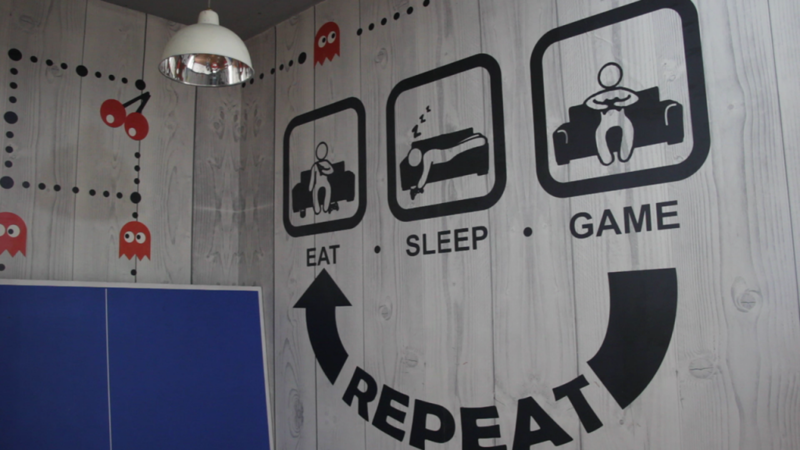 Their (phyical) games room has PacMan running the background. 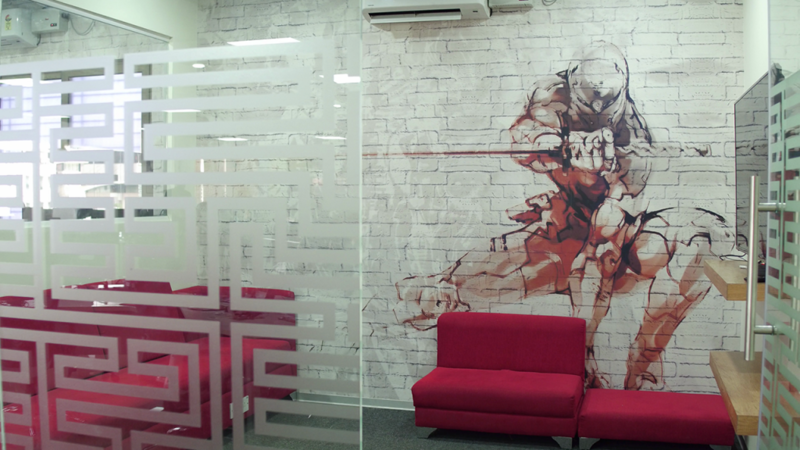 When employees aren’t designing games, they can play them in the PlayStation room. Developing games might sound like all fun and games, but it is serious business. UI designers, software engineers, Narrative designers, Product Managers, Quality Analysts, Art Directors, Game designers, Game developers all work out of the office, working on the company’s many products. 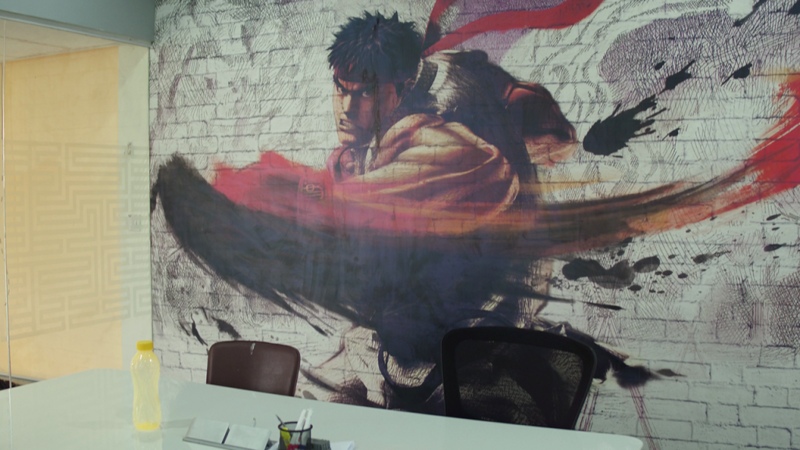 And all the action in the office doesn’t only take place in the online world — they have a real punching bag hung among the desks. 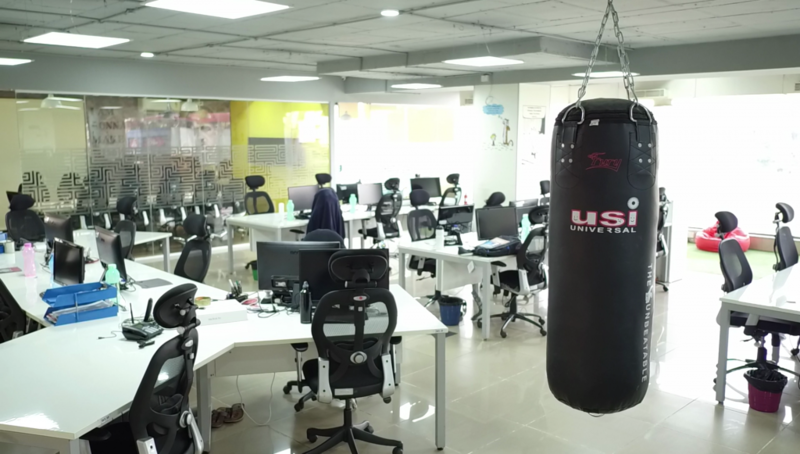 “Sometimes meetings here are intense and people generally don’t agree with each other so you can come out and punch the bag and that helps in releasing the stress,” jokes Avik Chandra, Lead UX Designer.